Why doesn't the map display correctly? Why are some of the Base Maps and Imagery unavailable or "grayed out"? Why aren't Check Stations, License Agents, Shooting Ranges or other resources displayed on the map? What are the sources of the information displayed in the tool? Who do I call if I have problems purchasing a license online? Who do I call if I have a question about hunting regulations, Class Q opportunities, or trapping permits? Who do I call to report a problem at a WMA or Angler Access Site? The tool is designed to work with most of the major browsers used today, including Internet Explorer 10 and higher, Microsoft Edge, Firefox, Chrome, and Safari. However, the application runs through Flash and that must be installed on your browser in order for the application to work. Some of the "Imagery" is unavailable (grayed out) because this imagery can only be selected after you zoom in, to a more detailed view, on the map window. Zoom in on the map and the imagery will become available. Some of the Layers (data) are not visible because the icons are not available to view until you zoom in, to a more detailed view, on the map window. Zoom in on the map and the icons will appear on the map and in the Legend. The map's source data is updated twice each year. WV Mixed Resolution - Source: West Virginia GIS Technical Center, multi-source, best, leaf-off aerial photos. WV 3D Elevation Contours Basemap - Source: West Virginia GIS Technical Center, multi-source elevation contours data. 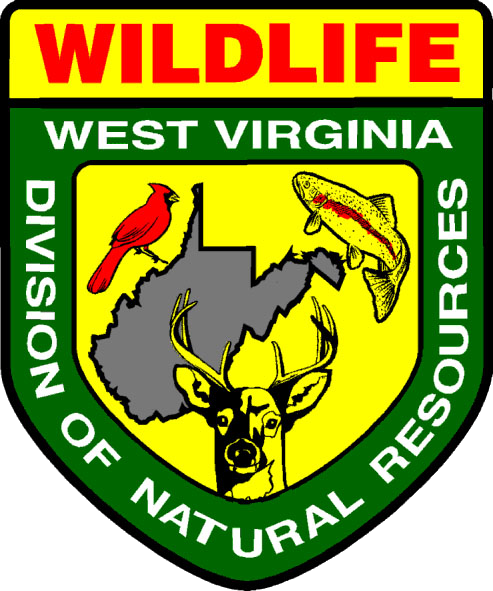 The boundaries were obtained from: US Fish and Wildlife Service, WV Department of Commerce: Division of Forestry and Division of Natural Resources. Please call the Hunting and Fishing License Unit: 304-558-2758. Please call the appropriate WV DNR District Office. See the map for links to contact information. Supported Browsers: Internet Explorer (10+); Edge; Firefox; Chrome; Safari.